pegkerr | Delia's a high school graduate! Delia's a high school graduate! A few days after the fact, but this past week has been crazy. 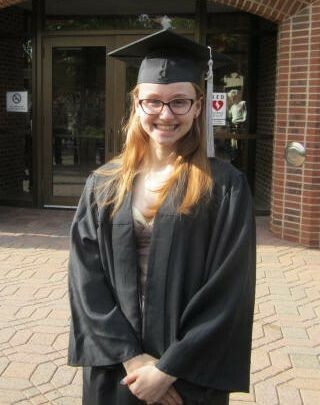 Delia is now a high school graduate! We are so very proud of her. Her high school graduating class was quite small: about thirty-five students or so. It was the most personal graduation ceremony I've ever attended. Each student has the same advisor all the years they attend, and that advisor gives the graduate a diploma and told a story or two about them. There was no valedictorian. Instead, any senior who wished to was allowed to give a speech, and Delia was one of them. She gave a three minute speech, and she was poised and confident.